It's 2017! (And I'm two weeks late, I know) but I decided last year to call some AMAZING authors that I discovered last year, with some stunning books and I knew I needed to have them on the blog. 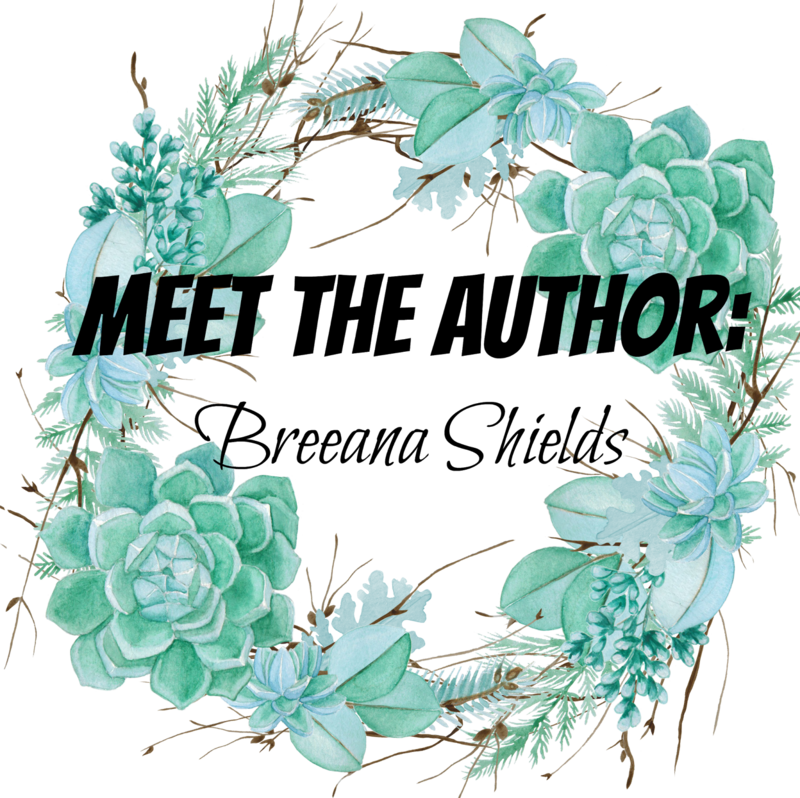 So, to welcome 2017 and hope it's an AMAZING year for all of us, I have fourteen authors with some amazing interviews, guest posts and Stacking The Shelves' and of course, GIVEAWAYS of their BEAUTIFUL books, so stay tuned! 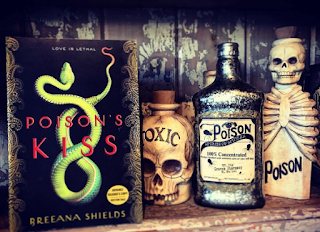 For Day 1, I have with me Breeana Shields, debut author of Poison's Kiss, an Indian Fantasy about a teenage assassin that can kill with just a kiss, that I reviewed just yesterday. WELCOME to A Thousand Words A Million Books, Breeana. I recently finished THE FORGETTING by Sharon Cameron and I thought it was wonderful! 2. What are your favourite TV shows and movies? My favorite TV show at the moment is Jane the Virgin. The writing is brilliant—melodramatic, Telenovela plotlines that are delivered with a wink at the audience, layered on top of very earnest, relatable characters. It’s so cleverly done and just fantastic. My favorite movie is Pride & Prejudice-- I love many versions, but my favorite is the five-hour BBC mini-series with Colin Firth. I watch it once a year. So good! Leigh Bardugo, Holly Black, Marie Rutkoski, Robin LaFevers, or Mary Pearson---I’d love to be in a working environment with any one of them and just soak up their genius. interest, so I suspected this could be THE call, but I couldn’t answer because the car in front of me was pulling forward and I was up next. I guess technically I could have picked up the phone and tried to have an important business conversation while the restaurant employee was asking me if I’d like hot sauce with my order, but that would have been awkward. So, sadly, I had to watch the call go to voicemail. A few minutes later, I was able to pull over and call my agent back. She told me we had an offer on the book and I couldn’t have been more thrilled. But, now that I think of it, I'm not sure I ever did eat that taco. 5. 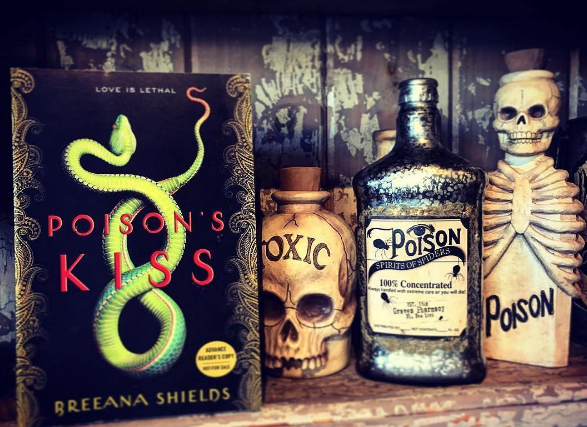 What inspired you to write Poison Kiss? I’d tell them to be careful who they trust. Blurb Description: A teenage assassin kills with a single kiss until she is ordered to kill the one boy she loves. 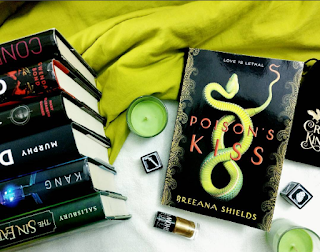 This commercial YA fantasy is romantic and addictive—like a poison kiss—and will thrill fans of Sarah J. Maas and Victoria Aveyard. Marinda has kissed dozens of boys. They all die afterward. 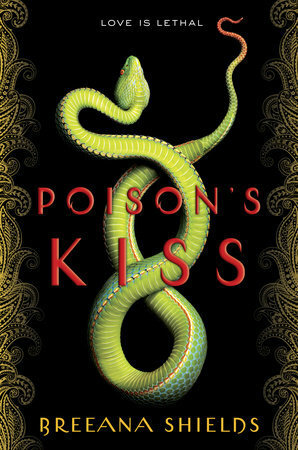 It's a miserable life, but being a visha kanya—a poison maiden—is what she was created to do. Marinda serves the Raja by dispatching his enemies with only her lips as a weapon. Until now, the men she was ordered to kiss have been strangers, enemies of the kingdom. Then she receives orders to kiss Deven, a boy she knows too well to be convinced he needs to die. She begins to question who she's really working for. And that is a thread that, once pulled, will unravel more than she can afford to lose.